Red Wheel ∕ Weiser Online Bookstore | The Astrology of Self Discovery: An In-Depth Exploration of the Potentials Revealed in Your Birth Chart by Tracy Marks, M.A. The Astrology of Self Discovery provides guidance for achieving self-development through attunement to planetary influences and gives direction to those struggling with life's issues. Combining astrology, depth psychology, and spiritual teachings, Marks helps the reader make contact with the planets as they function as internal archetypes and personalities, as well as gain insight, perspective, and the tools for self-empowerment. She has helpful advice on how to prepare for and handle outer planet transits, especially Neptune and Pluto, which she covers indepth. She also addresses the healing of the 'inner child' and the feminine principle as expressed by the Moon, and the lunar nodes as an expression of life purpose. Provocative questions and worksheets help the reader apply the life lessons she presents. Marks' experience as a psychotherapist and spiritual teacher has enabled her to synthesize her knowledge of psychology with her astrological work to elucidate a path of deepening personal awareness and cooperation with planetary energies. 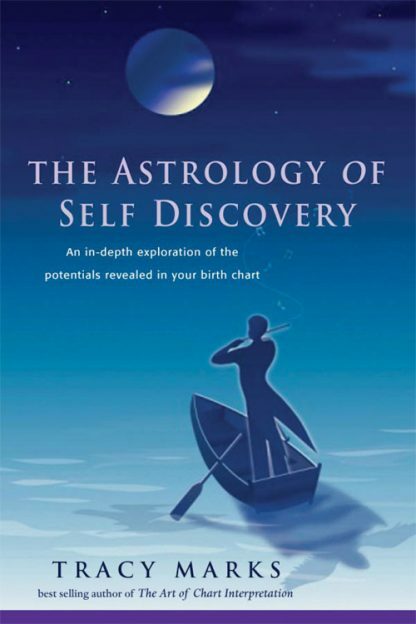 The unique insights in The Astrology of Self Discovery give fresh, new life to the practice of astrology.